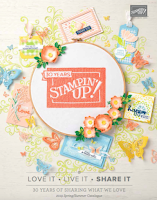 Monica Gale Top STAMPIN'UP! UK Demonstrator: I am here…. Hello there and hope this finds you well. I am still catching up believe it or not but I am now definitely seeing the light. I have also done something BIG this weekend which I will share in a future post, it will shock you and it will shame me but I will do it. You know I always share the good and the bad and I am not afraid of making it public that I am far from perfect, just you wait and see LOL. I am sharing more goodies made at our recent training event. Have you looked at the Nature Walk stamp set and thought nah, not me? Personally I think is the best set in the new mini but I know many people didn’t look at it twice. This was another of our make n takes cards at the training event. Soft Suede, More Mustard and Old Olive. This card looks so much nicer IRL yet is so very easy to make the hardest and the longest bit was tearing and distressing the edges. To obtain the different shades on the branches I simply inked once then stamped 3 times. The whole card was spritzed afterwards. Tiny Tags (Gosh how I love this set!!) spells a discreet message and it adds interest to the centre of the inked and stamped paper daisy. The twill tape was cut and frayed for texture. I think this card was a hit with everyone. I do like this set a lot. Another card on the day was this one. A man card with GLITTER on!!!! I know glitter and men are a big no no but the new glass glitter is fabuloso and here it looks like gravel perfect for any guy really. Combo is an unusual one. Not Quite Navy, River Rock and Cherry Cobbler. The river rock layer was embossed with the lattice embossing folder, the bike was coloured with the blender pen and cherry cobbler ink and the sentiment was stamped straight onto the twill tape. Such a sweet little brag book made with the new envelope die. I have played more with it today and I am so in love with it, very versatile indeed. The colours used here are Old Olive, Crumb Cake and Nursery Suite accents. I was also showered with gifts and lovely cards my sweet friends have made me, I am so grateful to them all and here’s a few of them. Gorgeous flowers from Carol, the most beautiful button box which looks just like one of our new buttons !! I love it Ali !! And the presentation box, I need that daisy die emphasis on NEED. Looks Yummy huh? We only just finished it !! Can you say CHO-CO-LA-TA ? Yum Yum indeed, thank you so much lovelies you are sweet and I am very lucky . right I better get off to bed DON’T FORGET to register for the Stamp Out Breast Cancer Event time is running out, I will start cutting the kits out this week. I am so looking forward stamping and sharing good times with you. Oops, how rude of me not to add that your card is absolutely fabulous! Didn't know you could fray twill, will have a go at that! Love the Nature Walk card Monica and I'm jelous of that Flake easter egg, can't find that in France! Never mind, there's always macarons! Bisoussssssssssss. love the frayed twill, now I need that! Not got that stamp set - yip I was one of the ones that overlooked it but I NEED it now! !